Why Board With A Vet? 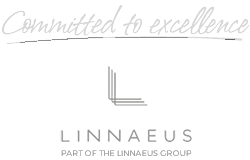 The Village Vet Cattery is part of Linnaeus Group Limited. Our address is 1 Oaklands Lane, Smallford, St Albans, Hertfordshire, AL4 0HR. United Kingdom. You can contact us on 01727 851 817. We may collect and store your name, address, telephone number and email address. We may also collect CCTV and telephone recording data. In very limited circumstances we may collect health information with your consent. • To provide you and your pets with the products and services you purchase from us. • For debt collection purposes. • To get feedback on the services we provide. • We may also use your information to send you reminders about products and services you have already purchased from us by SMS, email or post. Examples include reminders about when your pet is due for a vaccination or worming treatment. • Sending you newsletters and relevant promotions when you have requested these messages. • We may use health data you have supplied with consent in order to tailor the service we offer to your health needs. We will not share your information with any third parties for their marketing purposes. We will not sell your data on to any third parties. Companies working on our behalf: In some situations, we use a third party company to help provide some of our services (for example processing laboratory samples or sending reminder messages when your pet’s vaccinations are due). In these circumstances, we will share only the data required to provide the service. We have contracts in place with these third parties that ensure your data is stored safely, will not be used for purposes other than fulfilling our contract with them and will not be retained by them for longer than is necessary. We may also be required to share your information with insurance companies when processing pet insurance claims. This is necessary to allow you to claim on pet insurance policies. We will keep your personal information for as long as you remain our customer. Once you cease to be our customer we may keep your personal information for up to 8 years in order to maintain records according to rules that apply to us. If you would not like to receive reminders about products and services you have purchased from us (for example vaccination or worming treatments) you can opt out of these messages by contacting the practice by telephone or in writing at any time. We will not send you promotional material about other products and services we offer or our newsletters unless you have given your consent to receive these messages. You can update your preferences at any time by contacting the practice by telephone or in writing at any time. • You have the right to ask us to stop using your personal data, restrict how we use or to delete it. There may be legal or other reasons why we may need to keep using your data but please contact us if you think we should not be using it. • You also have the right to correct any personal information you believe is incorrect. Please let us know if you think this is the case. • You have the right to ask for your personal data to be transferred to another service provider in a useful format. If, following your complaint you are not happy with the outcome or our response, you are also entitled to complain to the independent regulatory authority, the ICO. Collection and drop off outside of these times can be made with prior arrangement with the cattery from our Village Vet surgery reception.